Here’s an important tip for Microsoft Zune owners: don’t let your Zune charge overnight! According to Engadget, Microsoft’s customer support center has received a flood of angry phone calls from Zune owners. For some reason if you let your Zune change for an extended period of time the screen will crack. A recent post on Mac Daily News conjectures that the issue is with the lithium ion battery located directly behind the Zune’s screen. When the battery gets too hot it expands and cracks the screen. You’d think that Microsoft would consider this issue a major design flaw and offer to replace the cracked screens. So far there hasn’t been an official statement from Microsoft yet and unfortunately cracked screens are not currently covered under the Zune’s warranty. 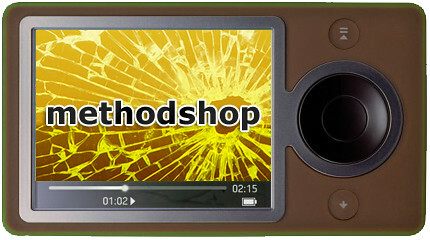 So where does that leave Zune owners with busted screens? They can either wait for Microsoft to address this issue or pull out their wallet and have a 3rd party like iPodMods repair their cracked Zune screen. With all the screen scratching and battery life complaints about the iPod, it’s nice to see the Zune having a little trouble too.